New construction in the SoFi neighborhood reflects a nostalgic vibe. Fast forward to 2016, and this booming area is fast becoming a destination for new restaurants, galleries, bars, and hot hangouts. New height restrictions have quashed mega-tower development, so the area — so far — retains its old-beach neighborhood vibe. Indeed, on the first block south of Fifth along Washington you can enjoy house-made pasta dishes, wood-fired pizza, and veal scallopine (La Locanda); grilled octopus, Halloumi cheese, and lamb souvlaki (Meze Aegean Bistro); gourmet schnitzel sandwiches, salads, and crepes (Europa Delicatessen & Gourmet Market); and lobster rolls, chowder, and oysters (Izzy’s Fish and Oyster). “For years, South of Fifth was only known for Joe’s Stone Crab. Slowly but surely more restaurants moved in and became local favorites,” said Jamie DeRosa, chef-owner of the newest-kid-on-the-block, Izzy’s Fish and Oyster. 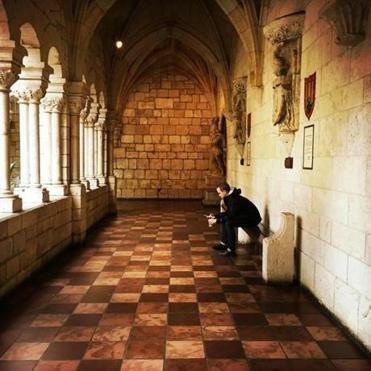 The story of the Ancient Spanish Monastery is a tale of social upheaval and lost fortunes that dates back to 1133 AD. 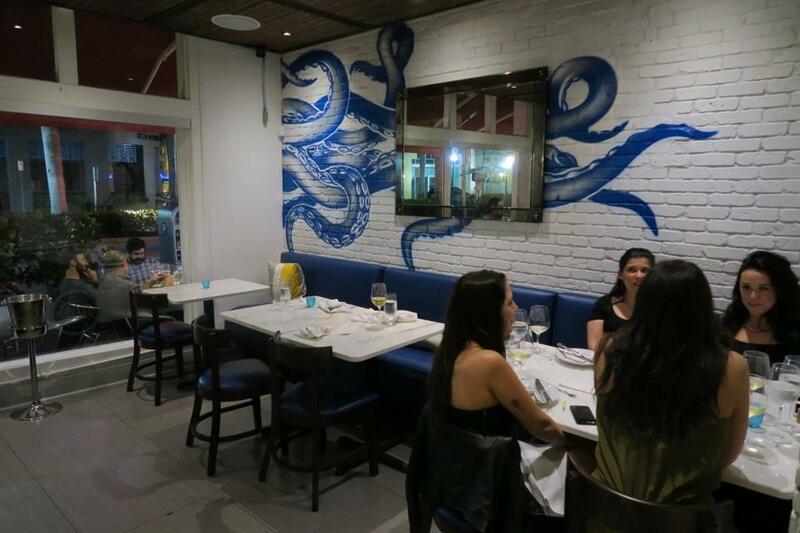 On a recent Wednesday night, this small seafood house — with its hip maritime decor — was packed with diners enjoying fried clam bellies, New England crab cakes, Parker House rolls, and a decadent lobster poutine. “SoFi is a melting pot of tourists and locals. It’s less hotel-driven. More personal and intimate,” said DeRosa. Around the corner, DIRT recently debuted, elevating fast food dining to a cleaner, greener level by serving seasonal, local, and organic products in salads, smoothies, sandwiches, and more for breakfast, lunch, and dinner. The Jewish Museum of South Florida designed by Art Deco architect Henry Hohauser. Heading south, five and six story structures are sprouting up, housing contemporary condos on the upper levels, and Pilates studios, realty offices, skincare clinics, juice bars, wine bars, and art galleries in street-front digs. On tree-shaded residential side streets, spiffed up Art Deco apartment buildings are reminders of a quieter era. 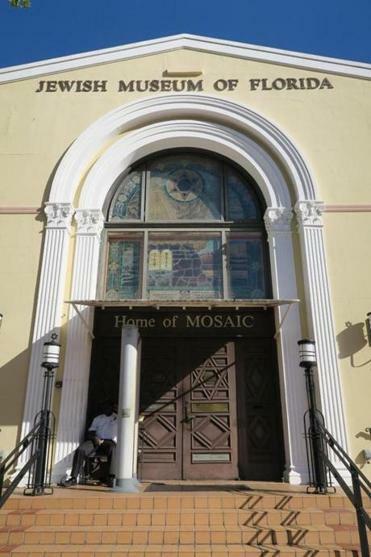 It’s here you’ll also find the Jewish Museum of South Florida, a 1936 structure designed by Art Deco architect Henry Hohauser — featuring 77 stained glass windows and Moorish copper dome — that for 50 years served as a synagogue for Miami Beach’s first Jewish congregation. Gail Williams and her partner Dawn McCall first visited SoFi about 17 years ago. “We fell in love with the area and saw its promise. 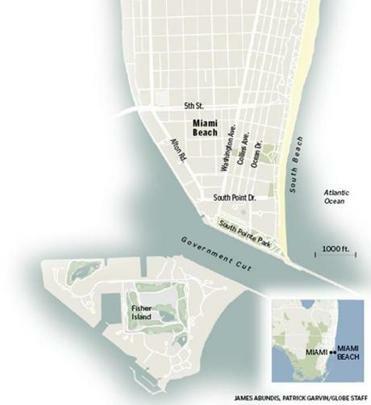 It was more neighborhood-y than the rest of South Beach,” said Williams. 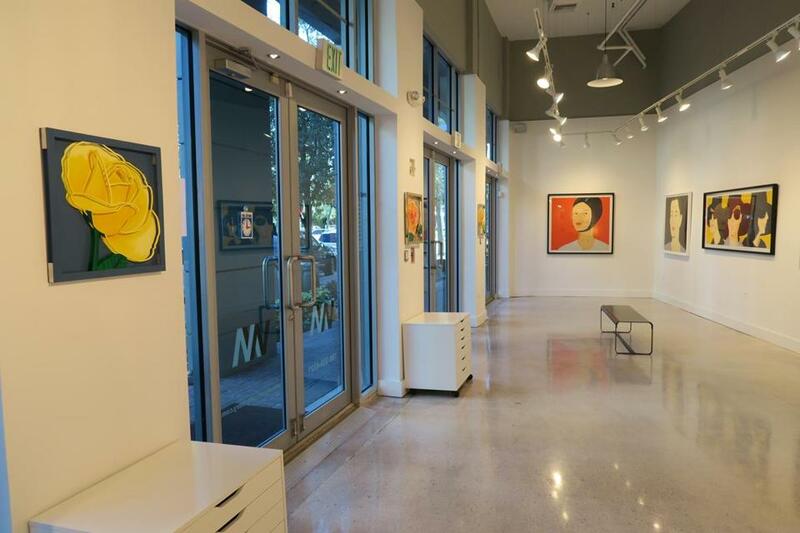 In 2012, the couple opened the Williams-McCall Gallery in a chic modern space where they exhibit contemporary paintings, works on paper, fine art photography, encaustic collage, and sculpture by a roster of local and international artists. Accommodations have also improved since I first arrived 20 years ago. 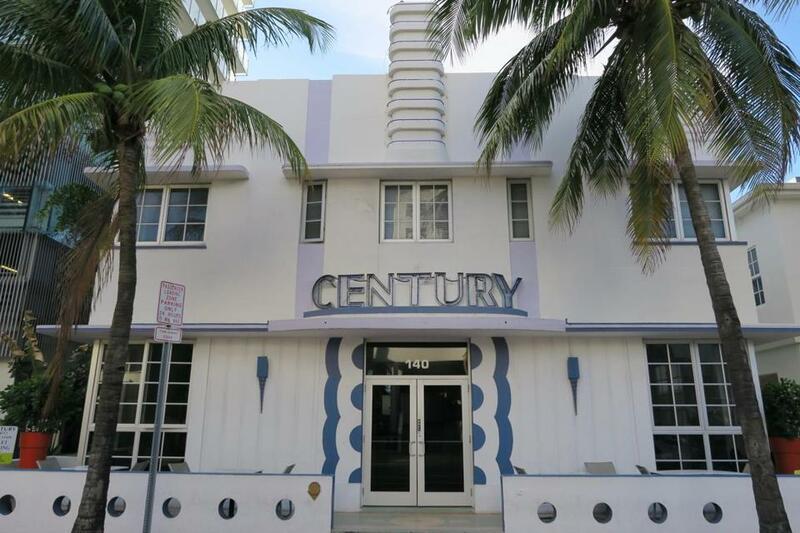 Art Deco hotels have gone boutique (Hotel St. Augustine, The Savoy Hotel, The Century Hotel) though some are renovated more than others. For those who want a kitchenette, the Mercury Hotel has reinvented itself as an all-suite condo hotel. Oceanside, fans of international brands can stay at the Marriott Stanton South Beach and the Hilton Bentley Miami. Travelers with limited budgets — and a sense of adventure — book at SoBe Hostel and Bar, conveniently located next to the take-out window of My Ceviche. 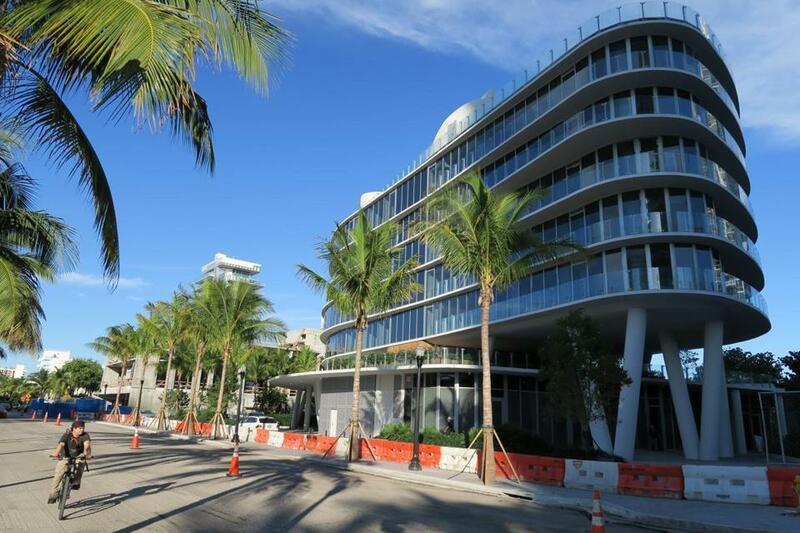 With new construction on what seems like every block, it’s anyone’s guess as to how long this neighborhood avoids the glam-theatrics and trend-seeking tourists who clog the heart of South Beach. Upscale white-tablecloth dining spots run by corporate-owned restaurant groups have already crept southward. On one block of First Street you’ll find high-concept Greek restaurant Milos Miami, up-market Fogo de Chao Brazilian Steakhouse, Southesast Asian-hybrid concept Red Ginger, sleek white-on-white clone of NYC’s upscale Italian Il Mulino, and soon-to-open French-inspired café and market, Bake House Brasserie. As SoFi continues to grow, hopefully it keeps its neighborhood charm. Stay tuned.